i. Every year, `National Technology Day' is celebrated across India on May 11 to memorize the anniversary of Shakti, the Pokhran nuclear test held on 11 May 1998.
ii. The National Technology Day 2018 theme is “Science and Technology for a Sustainable Future”. The first nuclear test Pokhran with a code named as ‘Smiling Buddha’ was carried out in May, 1974.
i. In collaboration with the U.S.-India Aviation Cooperation Program and the Government of India, US Trade and Development Agency (USTDA) is hosted the 6th U.S.-India Aviation Summit in Mumbai, India. ii. The American Association of Airport Executives (AAAE) is organizing this visit on behalf of USTDA. i. The Telangana government introduced Rythu Bandhu, a scheme to provide Rs4,000 per acre each to land-owning farmers for Rabi and Kharif seasons, and issued special passbooks for them. ii. The programme was flagged off by chief minister K. Chandrashekhar Rao, who distributed 298 cheques to farmers at Huzoorabad Mandal in Karimnagar district. The state government has set aside Rs12,000 crore in the 2018-19 budget for Rythu Bandhu. · Telangana CM- K Chandrasekhar Rao, Governor- E.S Lakshmi Narasimhan (Add. Charge). i. Indian Army’s month-long Vijay Prahar exercise concluded in Suratgarh, Rajasthan. It was conducted by South Western Command of Indian Army. ii. The exercise was aimed to orchestrate wide spectrum of threats including Nuclear, Chemical or Biological (NCB) attack which are planned to be tackled through high tempo joint air and land operation. · General Bipin Rawat is the present Chief of Army Staff. i. Arunachal Pradesh Chief Minister Pema Khandu inaugurated the state’s biggest solar power plant at Energy Awareness Park in the presence of Power Minister Tamiyo Taga in Itanagar. ii. The plant, with a capacity of 1 MW, was commissioned on April 1 at an estimated investment of Rs 8.50 crore. The officials of Arunachal Pradesh Energy Development Agency (APEDA) successfully implemented the project. 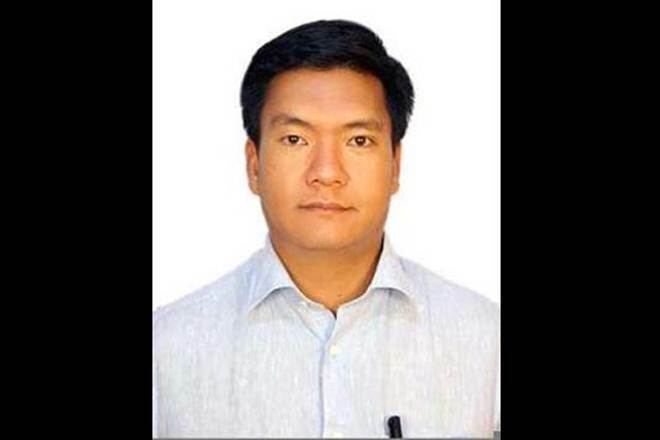 · Arunachal Pradesh CM- Pema Khandu, Governor- Brigadier BD Mishra (Retd). · Mouling National Park is situated in Arunachal Pradesh. i. The department of youth and cultural affairs of the Gujarat government will be co-organisers for the centenary celebrations to mark the independence of Poland in Delhi and other parts of the world. ii. An MoU was signed in this regard between the Gujarat government and the Poland government. The MoU was signed by Polish ambassador to India Adam Burakowski and principal secretary of youth and cultural affairs department V P Patel. i. President Ram Nath Kovind visited the Army base camp in Siachen, becoming the first President of India to visit the world’s highest battlefield in 14 years. ii. The previous visit was undertaken by former president APJ Abdul Kalam in April 2004. · Siachen glacier's region is the highest battleground on Earth, where Pakistan and India have fought intermittently since April 1984.
i. Prime Minister Narendra Modi has left on a two day State visit to Nepal to take forward the issues of mutual interest and partnership across diverse sectors. This is Mr Modi’s third visit to Nepal as Prime Minister. · Both the leaders will jointly lay the foundation stone for Arun 3 hydropower project. · PM Modi will visit historic Janaki temple. · Both the prime ministers will inaugurate Janakpur-Ayodhya bus service and the inclusion of Janakpur in Ramayana circuit. · Nepal Capital- Kathmandu, Currency- Nepalese rupee, President- Bidhya Devi Bhandari, Prime Minister- Khadga Prasad Oli. i. Vice President Venkaiah Naidu arrived in Peru on the third leg of his three-nation visit to Central America. During his visit to Peru, he will be meeting with the top leaders of the country and discuss various issues of mutual interest. ii. Both the counties will review the entire spectrum of bilateral relations including Trade and Commerce, Investments, Information Technology, Capacity building, Traditional medicines, Space, Defence, Culture and others. · Peru Capital- Lima, Currency- Sol. i. Mahathir Mohamad was sworn in as Prime Minister of Malaysia. He took the oath at the Istana Negara Palace in Kuala Lumpur. He has replaced Najib Razak. ii. His coalition defeated the governing Barisan Nasional coalition, led by Prime Minister Najib Razak, which has been in power for more than 60 years. Ninety-two-year-old, Mahathir becomes the oldest Prime Minister in the world. · Malaysian Capital- Kuala Lumpur, Currency- Malaysian ringgit. i. The Minister of State (I/C) for Tourism and Minister of State for Electronics and Information Technology, K. J. Alphons attended the Tourism Ministers’ conference by Shanghai Cooperation Organization (SCO) in Wuhan, China. ii. At the inaugural session, the Minister stated that India’s Tourism sector is fast growing and has got an emerging market for outbound travel and a tremendous potential for tourism co-operation with the SCO region. i. The inaugural session of the Indian Pavilion at the Cannes Film Festival 2018 was held at Cannes, France. It was hosted by noted actor Sharad Kelkar. ii. A meeting between the Indian delegation and Ms. Isabelle Giordano, Director General, Unifrance, M. Loic Wong, Director of International Department, CNC, France was held to explore co-production opportunities between India and France. · France Capital- Paris, Currency- Euro, CFP Franc, President- Emmanuel Macron. i. Chinese e-commerce giant Alibaba had purchased leading Pakistani online retailer 'Daraz', continuing its overseas expansion by gaining a foothold in the growing South Asian consumer market. ii. China is seeking closer economic ties with Asian neighbours including Pakistan through its Belt and Road initiative, a strategy to increase trade links that are led primarily by infrastructure projects. · Jack Ma is the CEO of Alibaba Group. · Jack Ma is the Richest person in Asia (13th overall), according to the Bloomberg Billionaires Top 100 Index 2018. · Daraz was founded in 2012.
i. Indian tea industry has recorded the highest ever production as well as exports in FY18. The total tea production was 1325.05 million kgs, an increase of 74.56 million kgs as compared to 2016-17. In percentage terms, the increase is around 6%. ii. Similarly, the total quantity of tea exported during the financial year 2017-18 stood at 256.57 million kgs, while the foreign exchange realized from exports of Indian tea was $ 785.92 million. iii. The growth in exports was majorly driven by the following countries: Egypt (increased by 7.49 million kgs), Iran (increased by 6.95 million kgs), Pakistan (increased by 4.96 million kgs), China (increased by 2.91 million kgs) and Russia (increased by 2.89 million kgs). i. YES Bank is all set to roll out a capacity building project with farmers in Haryana and Rajasthan under its ‘Livelihood and Water Security’ CSR initiative. ii. The overall focus of the programme would be on sustainable agricultural practices and digital literacy.